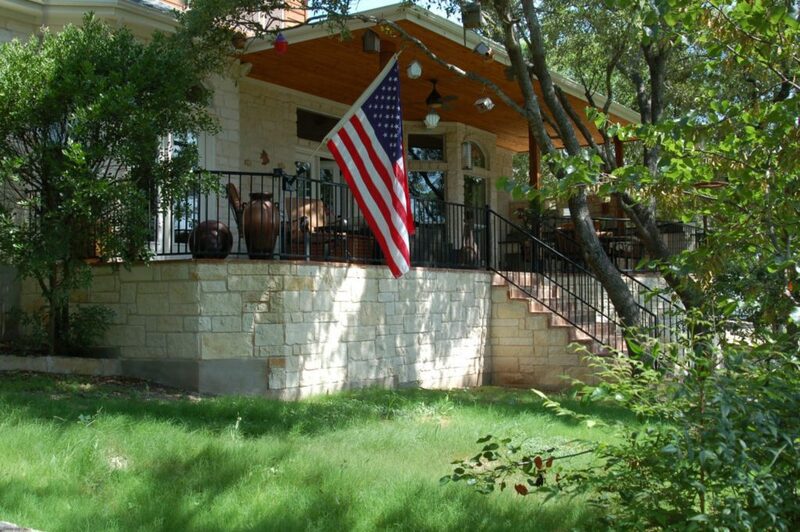 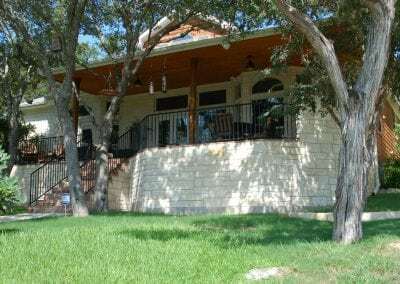 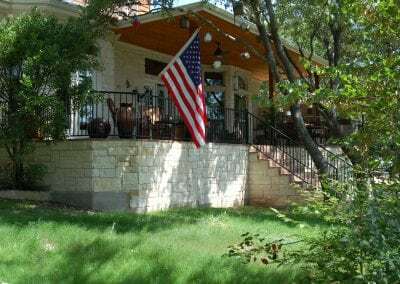 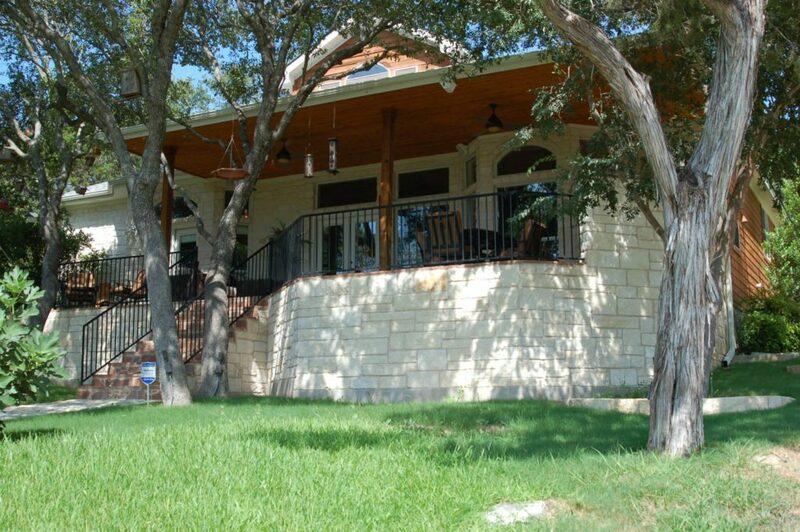 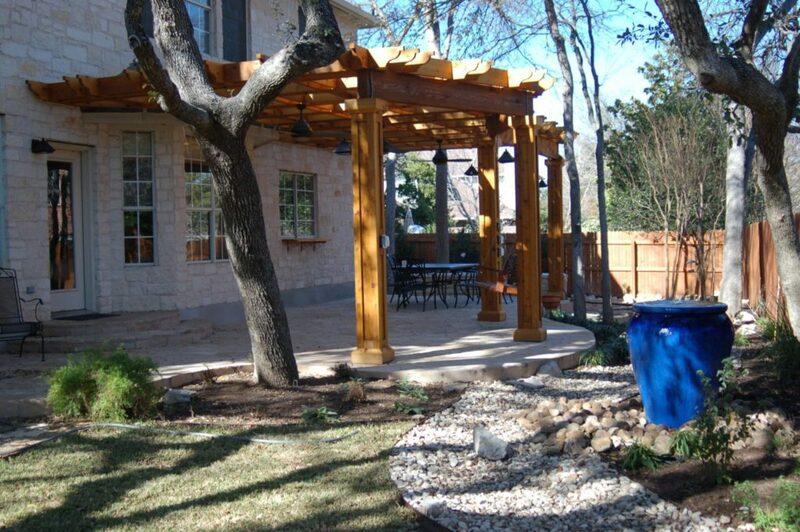 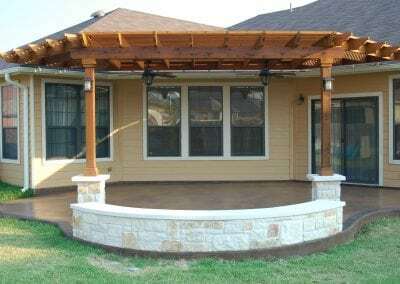 One of the main considerations when building porches & patios is the weather. 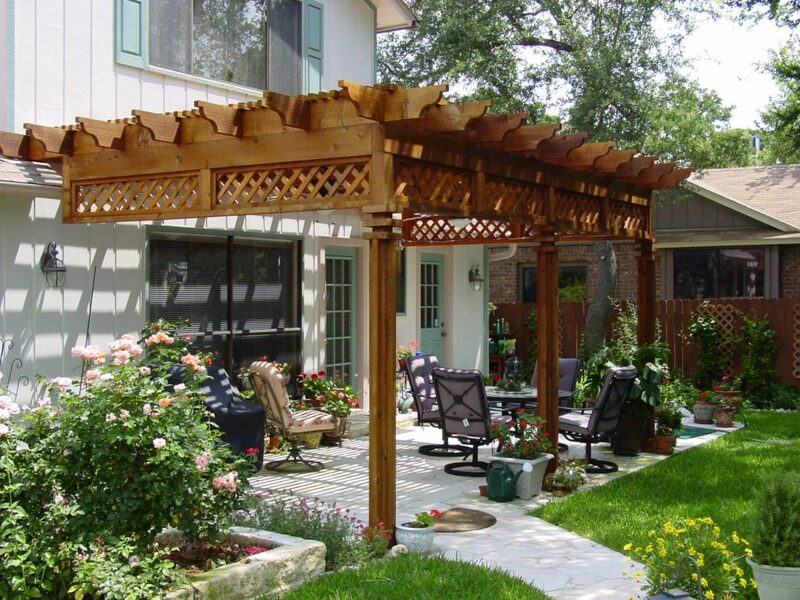 If you live in an area where rains are frequent then you may want to invest in a covered or screened porch. There are so many other means of protection that you can consider in order to keep porches protected from the sudden downpour. 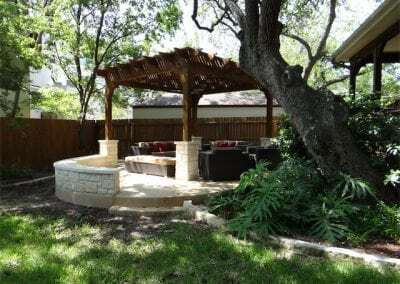 What kind of furniture is most suitable for your outdoor living area? 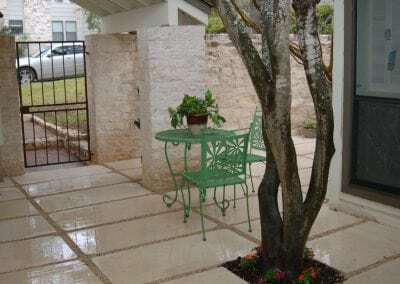 There are those fabrics which are damaged by water. 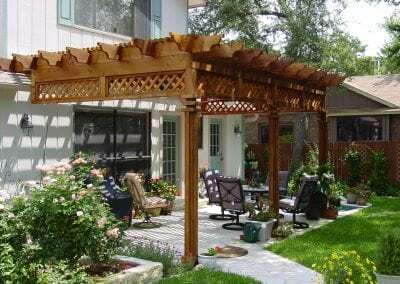 Do not go for a fabric that is likely to fade because exposure to sunlight. 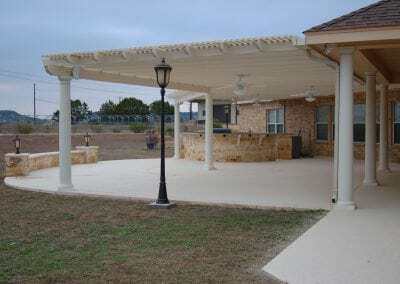 There are numerous materials that are able to withstand rain, extreme temperatures and dampness so you don’t have to sacrifice comfort and style for function. 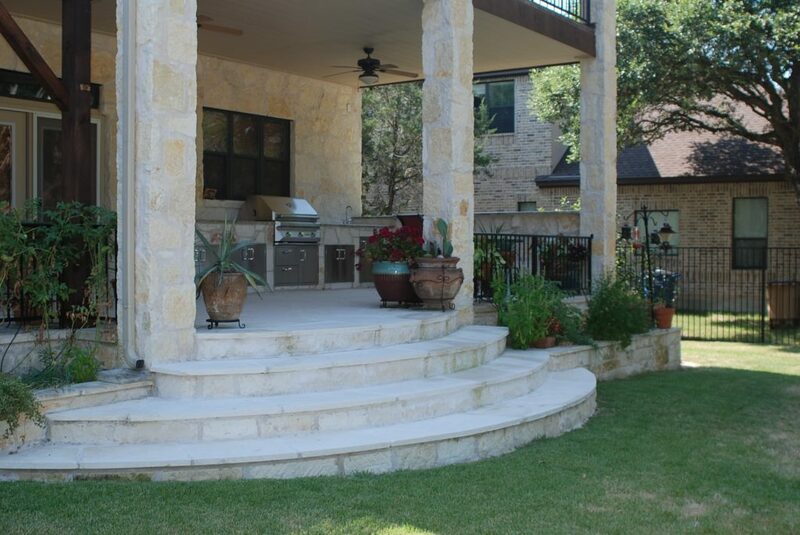 Decide on the way you intend to decorate this outdoor space. 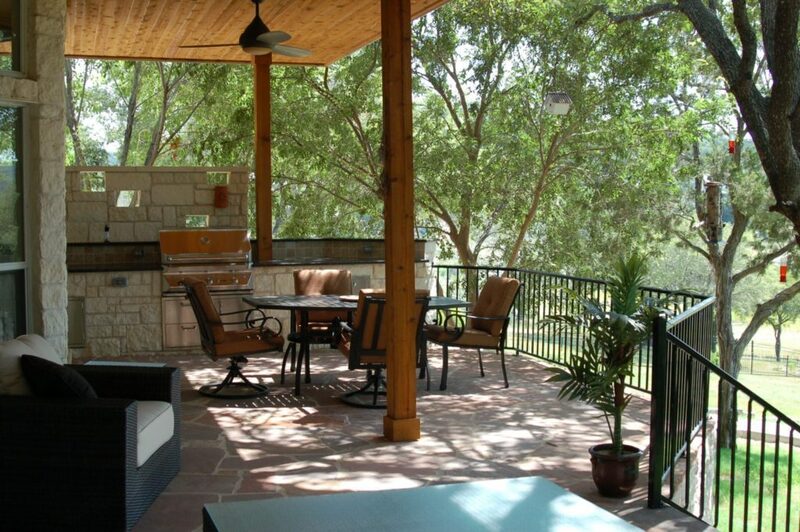 Most porches & patios have designated sitting areas or dining areas considered in the design. 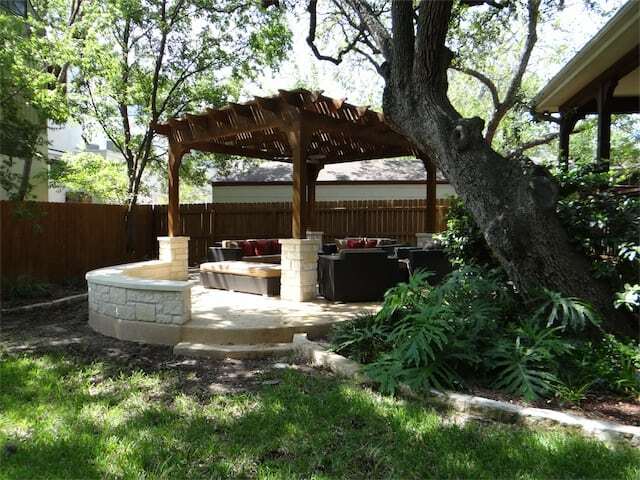 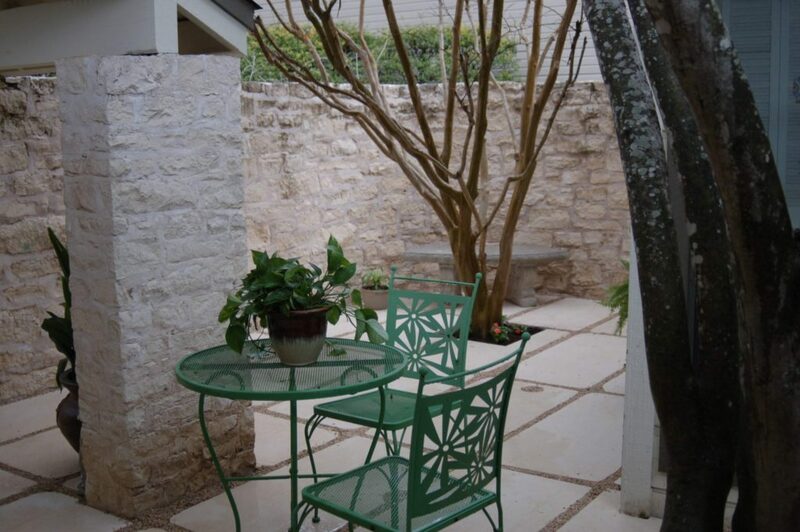 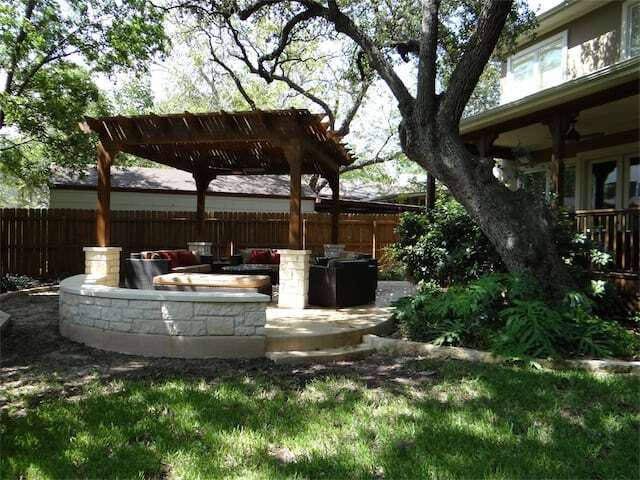 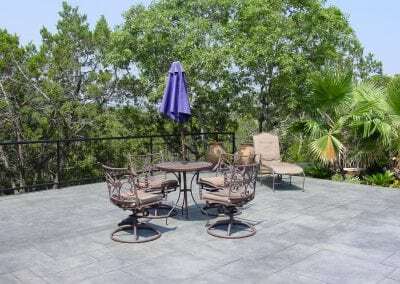 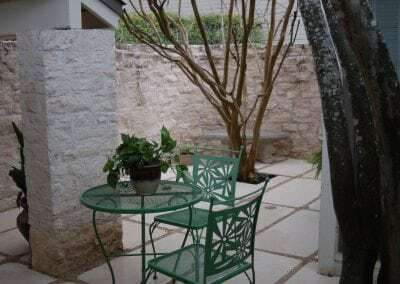 These areas can be open for furniture or built into the patio with the addition of stone benches or outdoor kitchens. 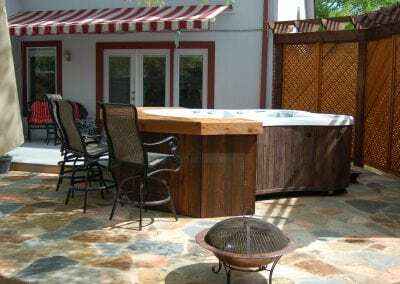 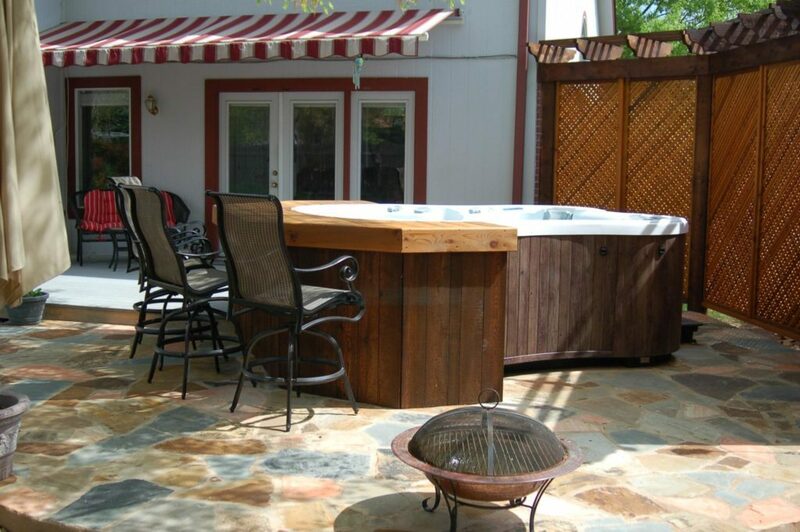 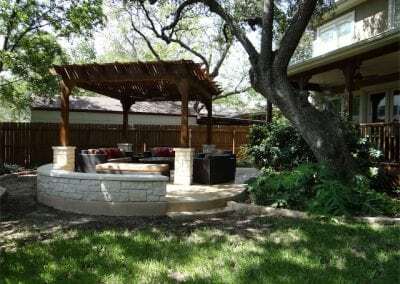 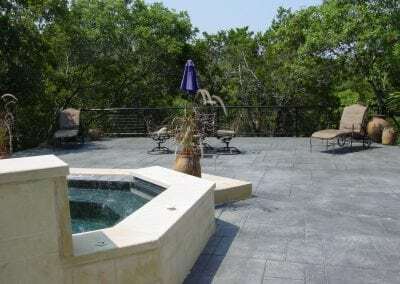 Firepits and fireplaces are also popular features on patios. 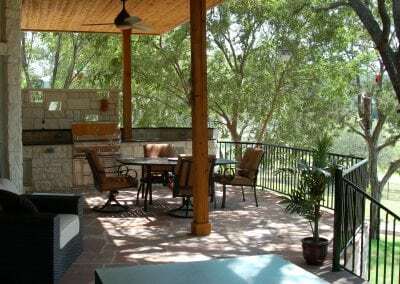 Design and function are the key components to bringing an outdoor living space alive, do not overlook any aspect of your lifestyle when planning your porch & patio. 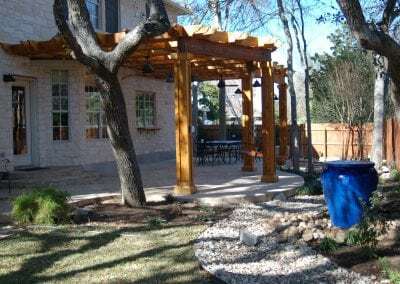 Budget plays a huge role in most decisions and should be considered heavily when deciding on options for your porch or patio, but don’t let it keep you from creating a usable space even if you can’t include everything you may want now. 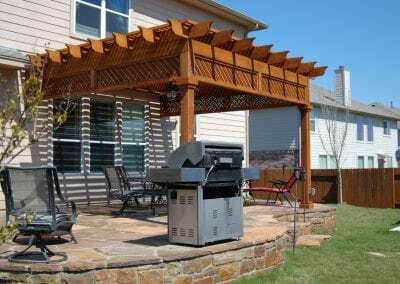 Consider your patio as a base for all the things you want to include in your outdoor living space and work from there. 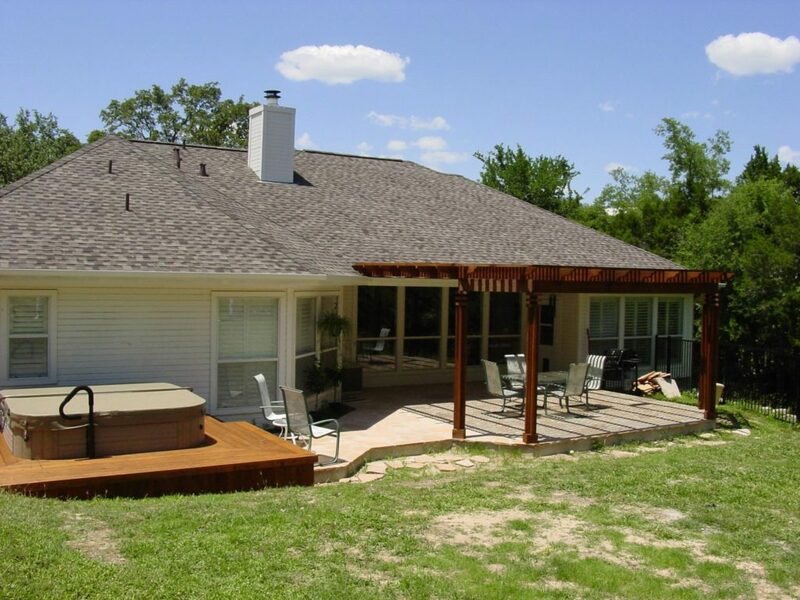 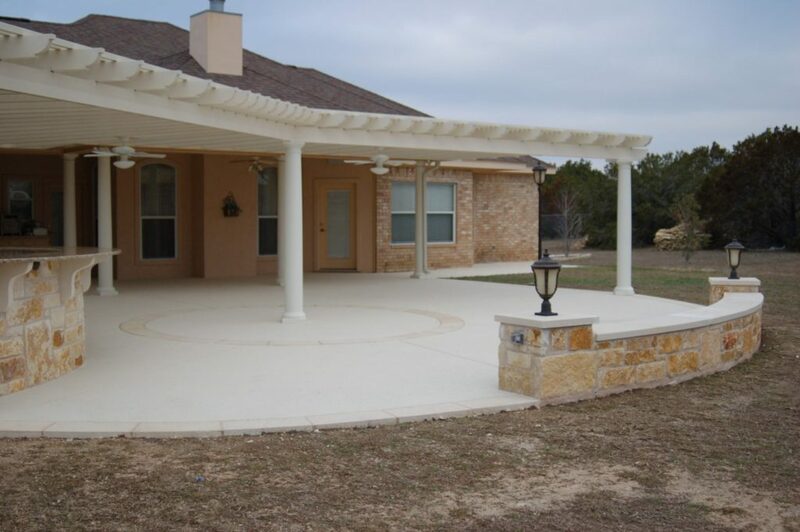 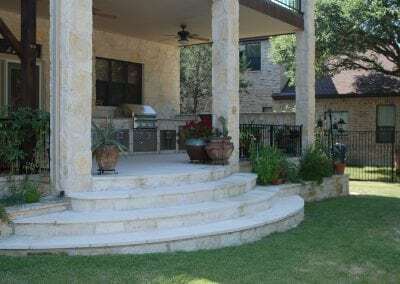 Concrete or wood decking is the first choice you will make in designing the porch or patio of your dreams. 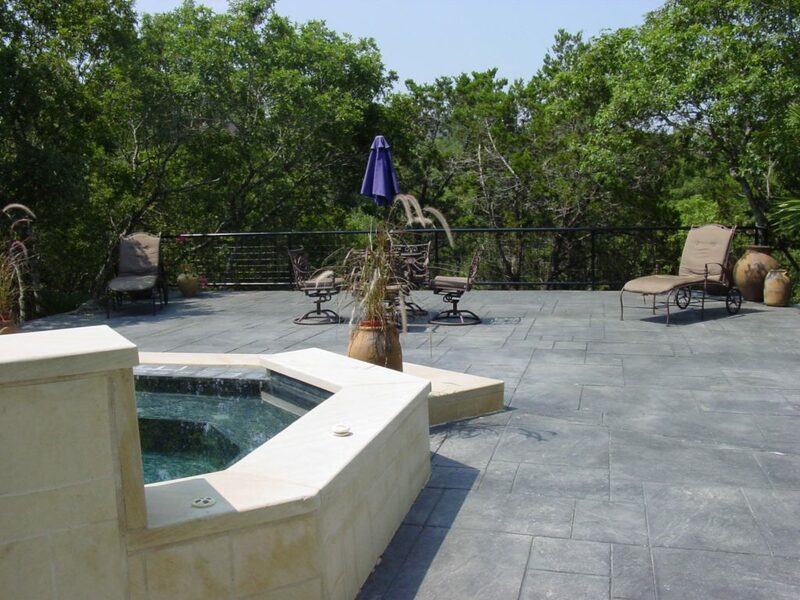 Wood, or composite, decking allows for higher elevations while concrete is typically used at or slightly above ground level. 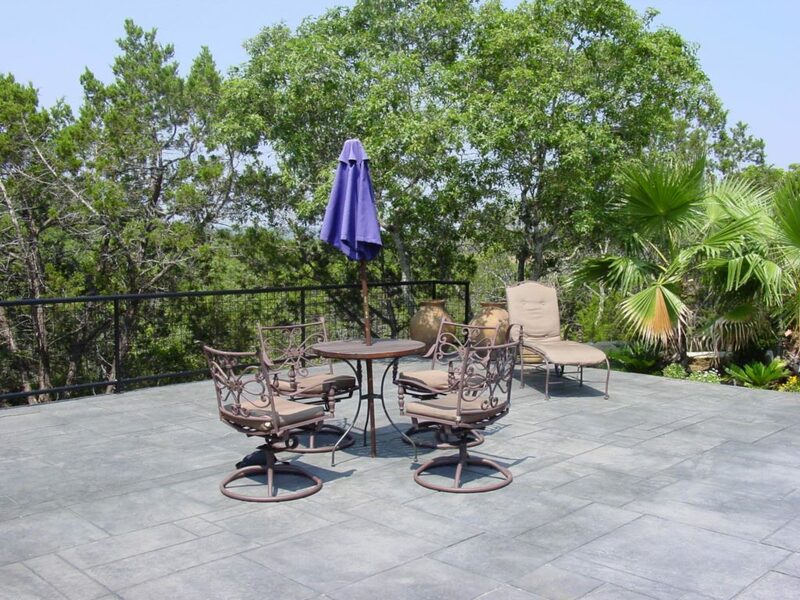 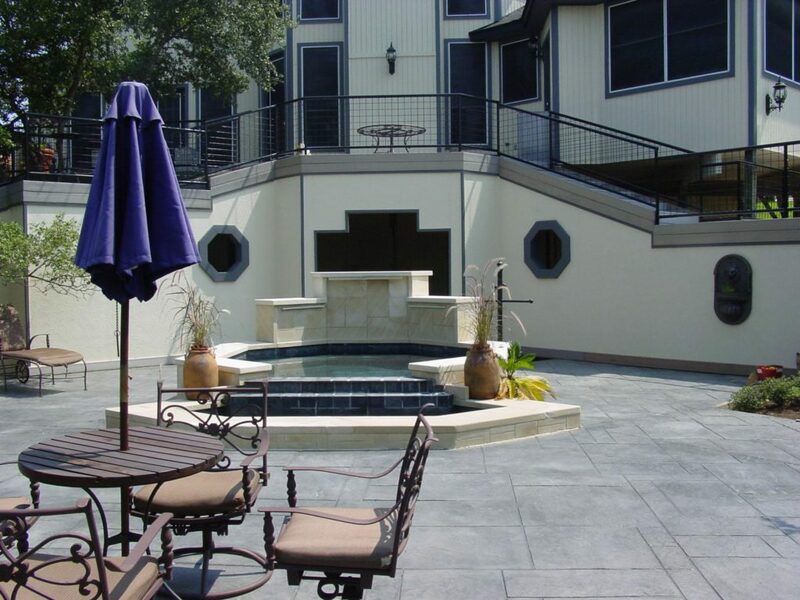 Stained concrete, scored concrete, flagstone, or specialty coating are just a few of the choices you will have for your new patio. 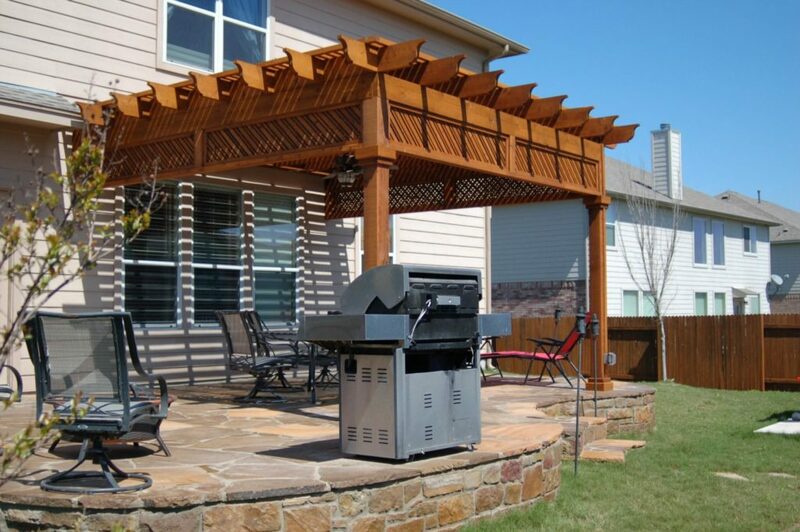 Look for features that will make this outdoor space more convenient for you and your guests. 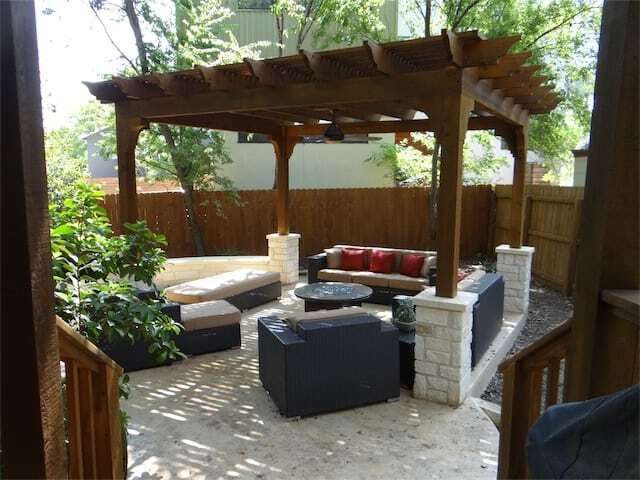 Most importantly, the outdoor area must go well with the theme of your home. 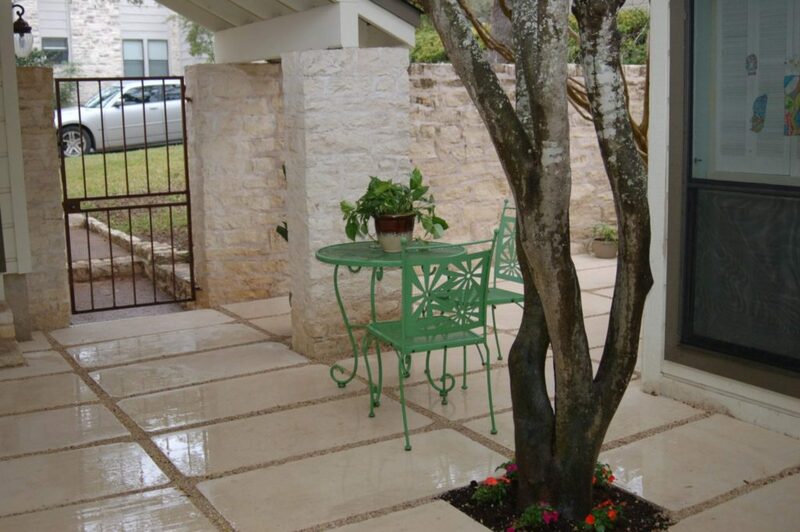 You are free to personalize the patio as much as you like. You can even add some art work, candles and river rocks just to make it look alive and beautiful. 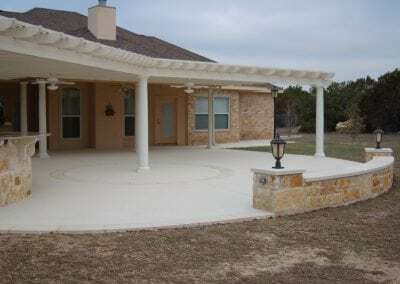 Make sure the area looks special and unique to your home. 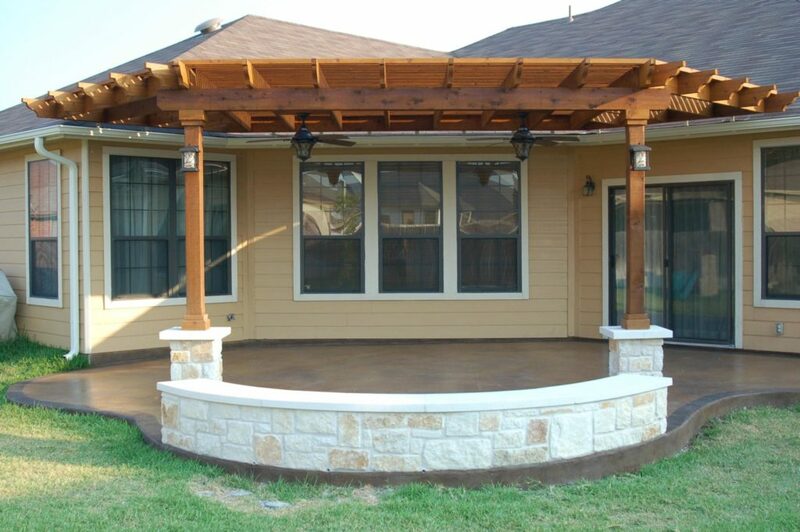 There are so many options when it comes to building porches & patios and we are here to take you through them. 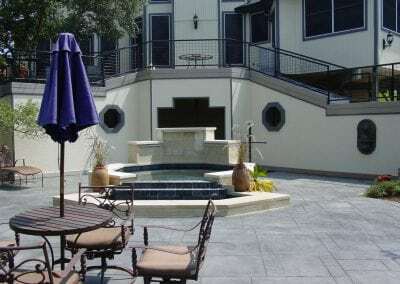 Our professional designers will help you design a space that is suited to you and your lifestyle now and in the future.